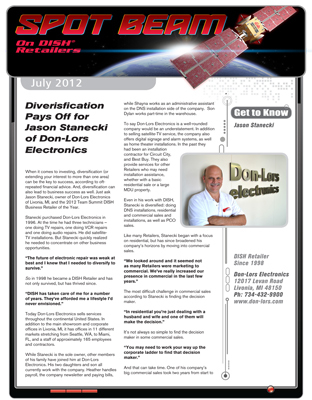 Don-Lors Electronics owner, Jason Stanecki, was featured in the July, 2012 issue of DISH Network's Spot Beam on DISH Retailers. The article explores Jason's philosophy that has made Don-Lors Electronics the success it is today. 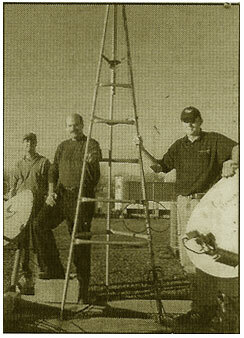 In May, Don-Lors Electronics was named 2012 DISH Network Business Retailer of the Year. The distinguished "DISH Excellence Award" was presented to Don-Lors for being the leader in sales and installation performance for commercial businesses among authorized DISH retailers.